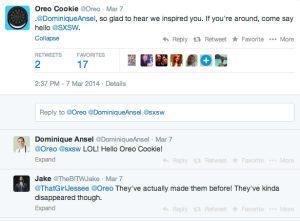 How Do Brands Effectively Reach Millennials on Twitter? By now, almost all businesses know that social media is a great tool for free advertising and connecting with consumers. Twitter specifically has created a perfect platform for brands to reach out to customers, both current and potential. Unfortunately, signing up for an account and tweeting information is not going to cut it. Simply having a Twitter presence is not enough for a brand to be successful. Instead companies need to know how to use Twitter to build a listening and participation strategy that allows for strong connections. While people of all ages are on Twitter, it is important to note that Millennials are heavily represented. In fact, they make up almost half of the total users according to a Pew Research Center study. While this overwhelming Millennial presence may seem to isolate one target market, brands must recognize that Twitter may serve wildly different functions for different people, so there is not one giant cohort of personalities. In fact, Millennials alone can be divided into six different segments as shown in Barkley’s study on the generation’s consumer trends. What does all this mean? First and foremost, it is critical for brands to develop a voice on Twitter that is consistent with the message they want to send. But that’s not all. Twitter was created in a manner in which giant corporations are put at the same level as individuals, allowing Millennials to do what they love: communicate directly to brands to voice their opinions for everyone to see. Thus, brands have to also keep their voice consistent with how they communicate with individuals. Replying to one person’s tweet, weather or not it was directed to the brand, allows them to prove to the public that they care about their customers’ opinions and are willing to communicate. This goes a long way with Millennials. We see this strategy of creating an active two-way dialogue executed perfectly with brands like Oreo (@Oreo) and Nike (@Nike). Both brands are extremely well known with the public and they do a great job of engaging users through replying to fans and retweeting relative content. This is a great way of acknowledging brand loyalty. However, there is a huge difference between the two. While Oreo has a very humorous voice and often Tweets funny content, Nike has a more serious voice and leans towards inspirational tweets. This is just one example of how creating a unique brand message is critical to success on Twitter. But how exactly do brands get the attention they want in the first place? One traditional method for brands to get their name out on Twitter is through promoted tweets, which are paid advertisements that show up on user’s Twitter feeds. The question, however, is whether or not this actually influences Millennials. The fact of the matter is that Millennials are much less likely to pay attention to an advertisement that they know is a paid, automated, general statement than they are to a brand who actually engages with them through direct, personal tweets. 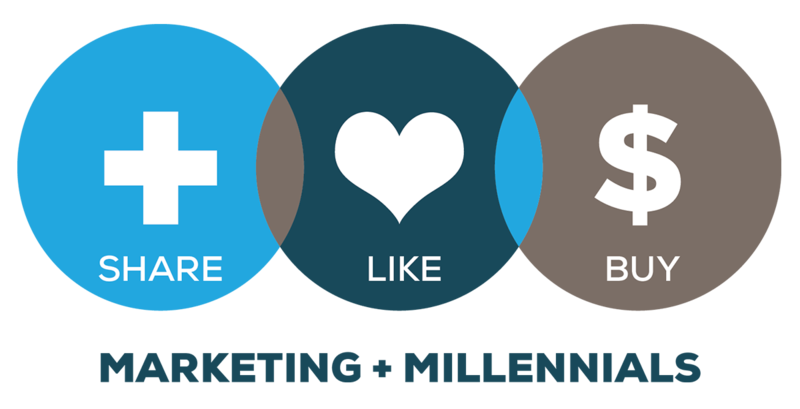 Not only is it more effective than advertisements, but engaging with Millennials on Twitter is a free form of communication that Millennials actually enjoy, making it a catalyst for acquiring brand loyalty. Furthermore, when Millennials find content they relate to, they share it with their peers. This is why they are often called social influencers. Millennials are the most engaged and often the greatest influencers among their peers as they have a strong voice and are passionate about sharing content. When a brand Tweets something “shareworthy,” Millennials connect with it on a personal level, so sharing it is a meaningful personal advocacy. This type of loyalty is what brands really need to be truly impactful on Twitter. Scott Fromm contributed to this post.